It has been about a month since we did our last transfer rumours check in and as we’re already 11 days into the Winter transfer window, I suppose it's a good enough time to get the latest lowdown. A month ago this move had looked much pretty a certainty to go through in January, what with all the strong rumours coming from people with ‘contacts’. Having had a successful trial at the club and even having a taste of life in the hospitality lounge for our 5-2 drubbing of Derby; we understand that Parr has now gone back to Norway after negotiations came unstuck with his agent. It will be interesting to see if we try and restart this one again by the end of the month. Daniel Taylor, life-long Forest fan and journalist for the Guardian, seems to be linking us with Huddersfield Town midfielder, Anthony Pilkington. 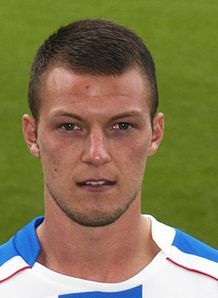 Pilkington is a 22 year old, ex-Manchester United and Blackburn Rovers trainee, who can play on either wing or as a striker. He is considered by their fans as someone with masses of Premiership potential, who is excellent with both feet and has a keen eye for both the goal and a pass. We’ll see how that one materialises, if at all. I’d like to see something happen if I’m honest as he sounds absolutely perfect for what we need on the wings. Daniel Taylor and a few other sources have also linked us with a £500k bid for Adam Hammill at Barnsley. Hammill is a left winger with a ton of skill and pace in his locker, who’s also attracting some Premiership suitors as well – so we need to get in there quick. This guy needs no introduction - as we're linked with him out of habit every transfer window by some papers. He is linked with the club via the News Of The World, despite the fact we’ve just signed Tudgay and Findley. Fortunately for us the rumour was made before the Newcastle-West Ham game, so I suppose it’s safe to say that rumour has been quashed.